Mille Colori Summer Scarf - It's almost holiday time so let's get some great inspiration for your summer projects. Do you always struggle with deciding what to pack when going on a vacation? Is your suitcase always too full and do you have to choose between that cute dress or your crochet project? Don't worry! This beautiful summer scarf takes little space and brings lots of fun. Ideal right? Take a look at the free pattern here! Little room, lots of fun! This summer scarf made of Lang Yarns Mille Colori is the ideal vacation project! These balls take little space in your suitcase, and crocheting the squares keeps you occupied for a while. And the most fun part? You can wear it directly when its done! Cool right? Ch. 8 and close with a sl.st. 1. Round 1: sc2 in each ch. End the round with a sl st (= 16 sts). Round 2: ch, *ch8, sc1 in the 4th sc of the previous row; repeat from * 3x. End the round with a sl st. Round 3: ch2, dc2, *ch5, dc3, ch2, dc3; repeat from * 2x, ch5, dc3, ch2. End with a sl st.
Rounds 4-8:using sl sts, go to the last kdc and work ch2, dc2. In each corner: dc3, ch5, dc3. In each ch2 space of the previous row: dc3, ch 2. End with a sl st. Round 1: sc8 in the ring. Round 2: ch2, ch4, sc1 in the 3rd sc, ch8, sc in the 6th sc, ch4, sc1 in the last sc. Round 3: ch6, dc3, ch2, dc3, ch5, dc3, ch2, dc3, ch2, dc. Rows 4-8: ch6, dc3. In each corner: dc3, ch5, dc3. In each ch2 space of the previous row: dc3, ch 2. End with a sl st.
Legend: sc., dc., ch., sl.st. 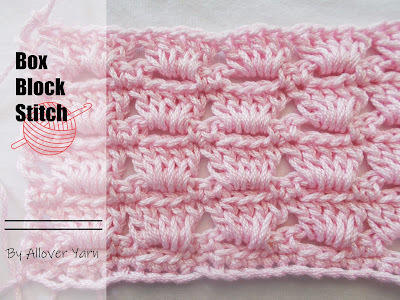 Join the granny's with slip stitches as shown in the chart below. Have your joined all your granny's now? If you want to you can work an edging of sc. around it. Have fun with your scarf!